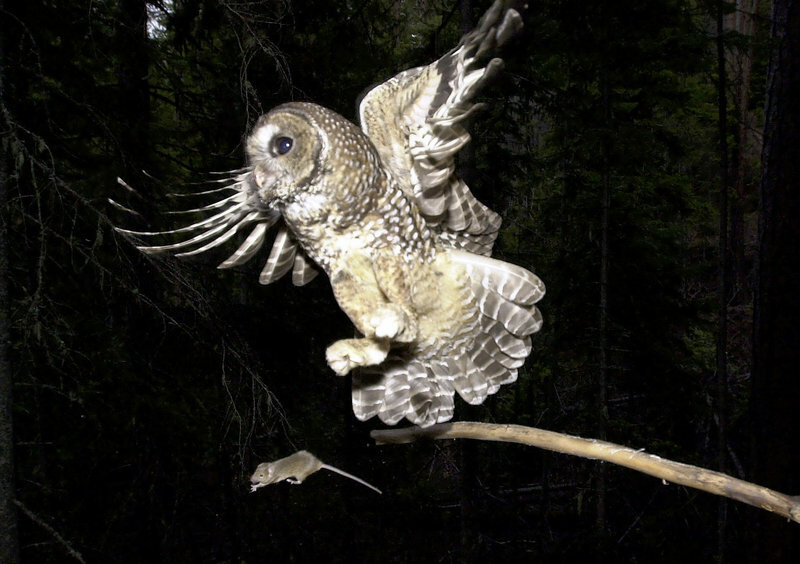 Some scientists suspect that rodenticides used on western marijuana farms also kill rare spotted owls. GRANTS PASS, Ore. – In the West Coast marijuana-growing region known as the Emerald Triangle, scientists want to know whether the rat poison spread around illegal pot plantations is killing northern spotted owls, a threatened species. But because it is so rare to find a spotted owl dead in the forest, they will be looking at an invasive cousin owl from the East that has been pushing spotted owls out of their territory since the 1990s. Mourad Gabriel, a doctoral candidate at the University of California at Davis Veterinary Genetics Laboratory, said Tuesday they are testing 84 barred owls from Northern California killed in the course of research on whether removing them allows spotted owls to reclaim lost territories. Those owls were collected primarily by the California Academy of Sciences and Green Diamond Resource Company, which grows redwood for timber. Among the first roughly 10 barred owls tested, about half have been positive for the poison. Two spotted owls found dead in Mendocino County in Northern California also tested positive for the poisons, Gabriel said. The research is funded primarily by the U.S. Fish and Wildlife Service. Eric Forsman, a U.S. Forest Service wildlife biologist and a leading expert on spotted owls, said he did not think the rat poisons would be a significant factor for spotted owls in northern Oregon and Washington, where their primary prey is the flying squirrel and there aren’t as many illegal pot plantations on federal lands. Loss of old growth forest habitat and the invasion of the barred owl remain the primary threat to the birds, whose numbers continue to decline. 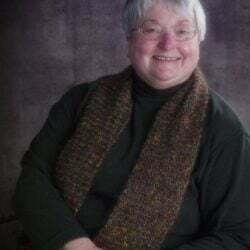 The rat poison could be significant, however, in the southern part of their range — Northern California and southwestern Oregon — where they feed primarily on dusky-footed wood rats and pot plantations are abundant, Forsman said. Spotted owls in southern Oregon and Northern California have been declining at the rate of 5 percent to 15 percent a year from 1990 to 2008, Fish and Wildlife said. Scientists have already established that common household rat poisons spread around illegal pot gardens to keep rats from eating the plants have been poisoning fishers, a large cousin of the weasel that is being considered for protection by the Endangered Species Act. One of the threats to the fishers being analyzed is the poison at the pot gardens, which are common on federal and tribal lands in Northern California and Southern Oregon, the prime pot-growing region known as the Emerald Triangle. Garbriel said researchers hoped to expand the testing of dead owls once Fish and Wildlife Service approves a program to experimentally remove barred owls from spotted owl territories on federal and tribal lands. Fish and Wildlife has been considering the issue for years, and completion of an environmental impact statement has repeatedly been pushed back. The latest estimate is that it will be done by end of summer. One of the proposed test sites is the Hoopa Valley Reservation in Northern California, where much of the work on fishers and rat poison has been done. Gabriel said spotted owls may turn out to be more susceptible to the poisons than the barred owls, because they focus on eating rodents, while barred owls will eat a wide range of prey, such as snails and crawdads. The tribe has received a $200,000 grant from Fish and Wildlife to work on the issue of rat poisons and wildlife. The money will go to cleaning up as many as five pot plantations identified on the reservation, testing the soils, and prey species such as snails, crawdads and wood rats for rat poison, and testing barred owls that are killed in the removal experiment, said J. Mark Higley, a wildlife biologist for the Hoopa tribe.